“Online State Resources for Genealogy: Beyond Ancestry and FamilySearch,” by Michael Hait, NGS Magazine, Jul-Sept. 2012. “George Teeling: A Story Researched and Retold,” by Teresa Steinkamp McMillin, NGS Magazine, Jul-Sept. 2012. “Understanding and Using Naturalization Records,” by Kathy Petlewski, NGS Magazine, Jul-Sept. 2012. 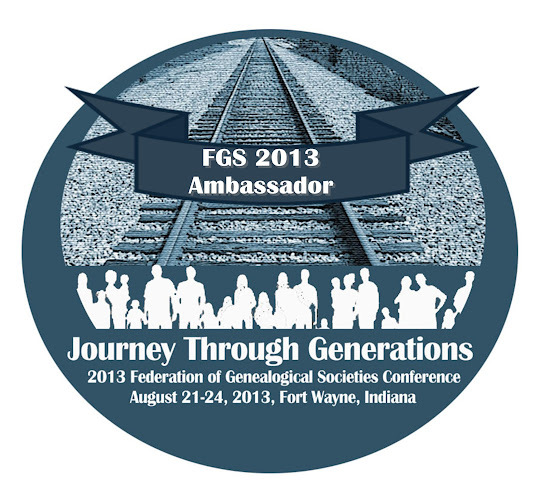 Julie, thanks for the lead on the Chicago Genealogical Society's blog. For someone like me, researching family roots in the Chicago area, it looks promising! HAPPY BLOGOVERSARY TO YOU, HAPPY BLOGOVERSARY TO YOU, HAPPY BLOGOVERSARY DEAR JULLLLLIEEEE, HAPPY BLOGOVERSARY TO YOUUUUUU! Thanks for the tips on "new to you" blogs! Added some to my blog reader!